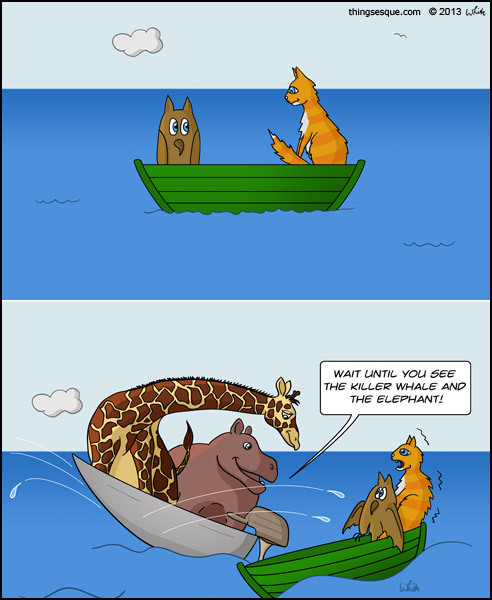 After years of living in harsh, sandy desert conditions, the camel has adapted to its environment by blending almost seamlessly into the surrounding dunes. 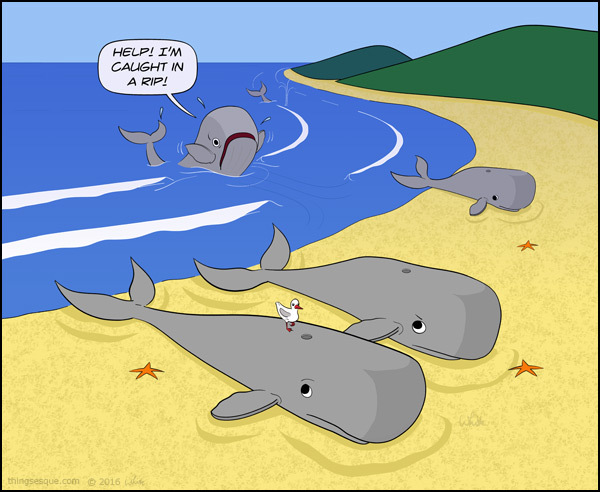 Through this use of camouflage (a.k.a. camelflage), it is able to avoid being detected by potential prey. 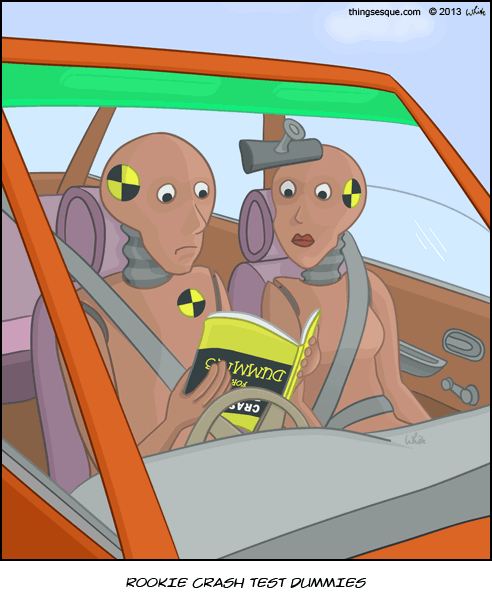 Two rookie crash test dummies sit in an orange car attempting to make sense of an instructional book on crash testing. 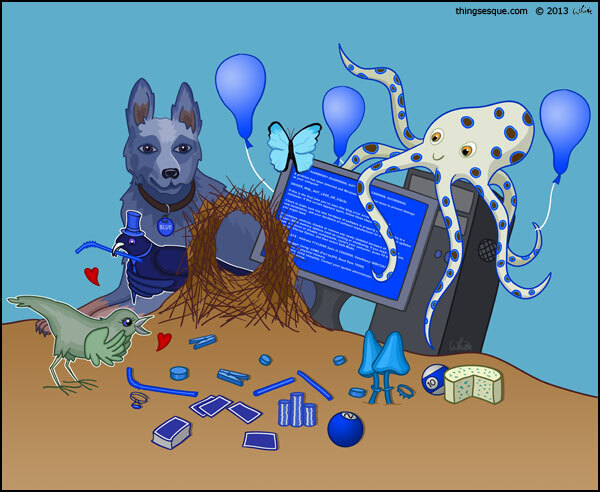 A male satin bowerbird wearing a blue top hat and tie goes all out to attract and impress a potential mate with a variety of blue items including straws, toadstools, pool balls, pegs, bottle tops, cards, poker chips, blue cheese, balloons, a butterfly, a gold ring, a pc blue screen, a blue heeler and a blue ringed octopus. The Grim Reaper sits at his computer, shaking his fist in anger at the fatal system error that has occurred during some important work. A woman with a crowbar struggles to tip over a burrowing echidna by the roadside so that it can be relocated to a safer place. Meanwhile, the echidna struggles to remain entrenched by clinging to dirt and roots underground. By riders tearing tails from their coat. A woman is stranded by the side of the road because her green Ford Laser has a flat battery. 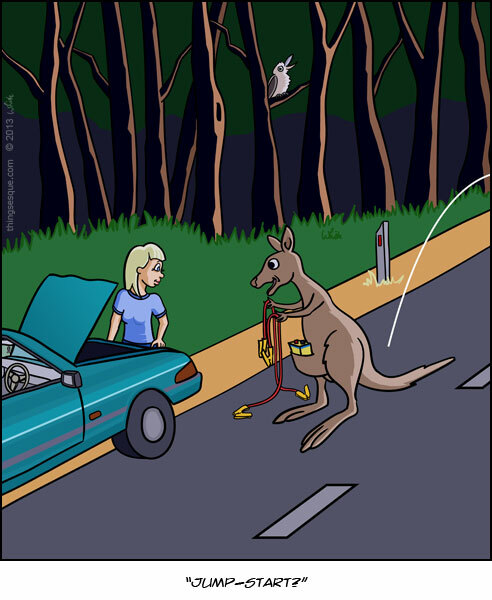 She is offered a jump-start by a passing kangaroo with a battery in its pouch and holding jumper cables. 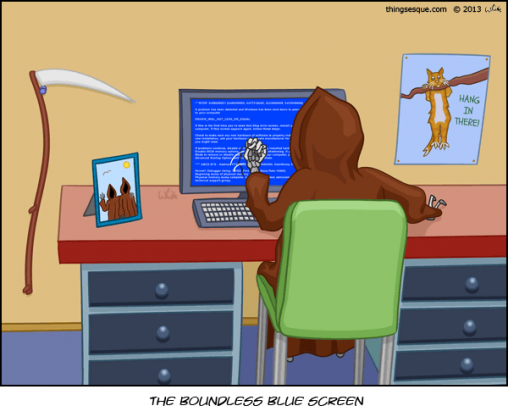 A kookaburra laughs in the background. 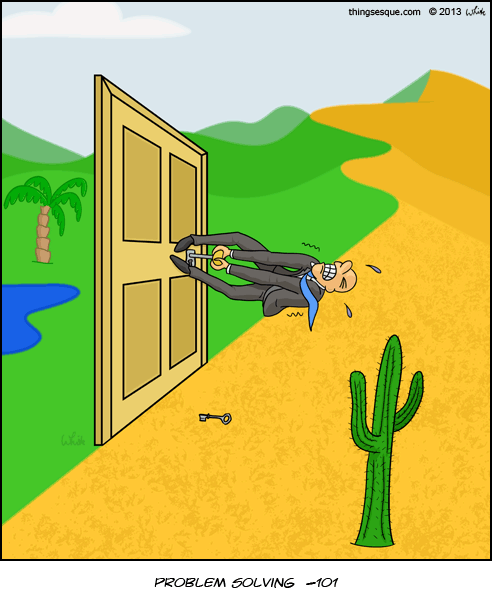 Somewhere on the border of a desert wasteland and thriving oasis, a business man struggles in an attempt to open a redundant door with his inadequate problem solving skills. 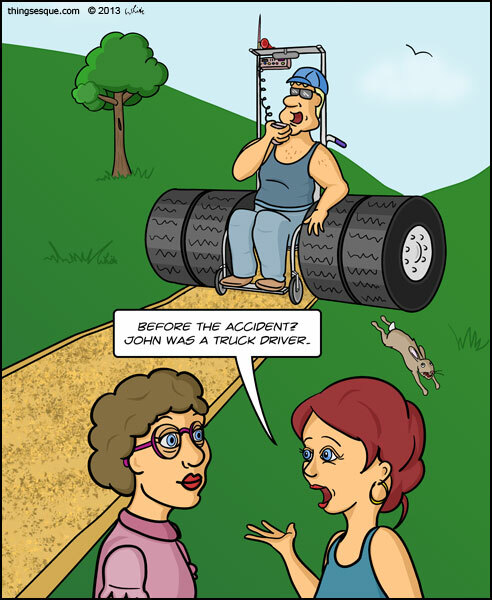 A woman discusses her husband’s accident and previous occupation with an acquaintance in the park. In the background, the former truck driver rolls along in a souped-up wheelchair complete with dual wheels, air horn, cb radio and rear-view mirror. He chats on the cb radio as a rabbit frantically jumps out of the way.